We've tweaked some styles for 2019 and there will be two new additions....the new stock is coming through ready for Spring. All the styles on Herdwick Bags page have details of what's available. Three Natural Colours: We pay the farmers to sort their flock before shearing, separating the natural shades of fleece. Hogg fleece: dark brown, 1st shearing. Unique Tweed: Our farmers transport the wool to Yorkshire for washing & combing. It’s then spun into 3 shades of high quality worsted yarn. 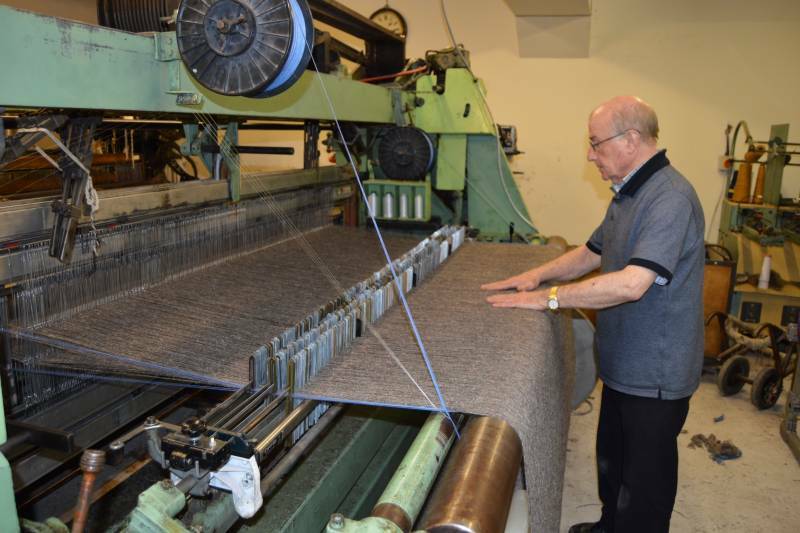 The tweed is woven by skilled weavers in Huddersfield and Sedbergh. Quality Products: Our bags & accessories are hand cut and sewn in Carlisle. Upholsterers in Coniston design and sew our home furnishings. We’re committed to supporting the lifestyle and traditional skills of Cumbria. It's beautifully made and oozes quality. My wife loves it and is delighted. The "Derwent" arrived at 8.15am, it's brilliant and Jean is over the moon. Thank you for all you have done to bring this bit of Cumbria into our lives. I absolutely love my bag and make-up bag; they are amazing. We are not a “click & buy” business. Hand making quality products means we may not have everything immediately available. Individual style pages show what we have now and when other fabrics options will be ready. The shows we will be attending, where you can see some of our range, as well the email address and telephone number are on the Contact page. To see our Bags range Click Here. To see our Home Furnishishings Click here.